Lee H. Butler Jr. is professor of theology and psychology at the Chicago Theological Seminary (CTS). An ordained minister of the American Baptist Churches in the United States since 1988, he joined the CTS faculty as assistant professor of theology and psychology in 1996. 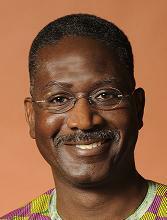 A former director of the CTS Master of Divinity program, and the founding director of the Center for the Study of Black Faith and Life at CTS, his teaching and research interests are in the areas of pastoral theology and the practice of ministry focusing on such topics as African-American religion, pastoral theology, spirituality, and sexuality. He is the author of Liberating Our Dignity, Saving Our Souls (Chalice Press, 2006), A Loving Home: Caring for African American Marriage and Families (Pilgrim Press, 2000); and numerous articles on the subject of pastoral care. Prior to his joining the faculty of CTS, he was on the faculty of the Lancaster Theological Seminary from 1992–1996 as assistant professor of pastoral theology. His professional development includes experience in pastoral ministry, chaplaincy, pastoral counseling, ecumenics, and denominational and seminary administration. He is a member of the American Academy of Religion, the Society for Pastoral Theology, the Association of Black Psychologists, and is President of the Society for the Study of Black Religion. He received his BA from Bucknell University, MDiv from Eastern Baptist Theological Seminary, MTS from Princeton Theological Seminary, and MPhil and PhD from Drew University. Illiteracy is the inability to read and the inability to engage the world through reading print media. While illiteracy is not a reflection of a person’s intelligence, it does affect a person’s resources for interpretation. Theological illiteracy, therefore, affects a person’s ability to read the signs and reflective responses of the times in which we live. Theological illiteracy not only means that a person does not have the vocabulary for theological reflection, it also means a person lacks the critical resources, like Bible stories, for engaging in critical theological reflection. The problem of theological illiteracy, however, is not limited to entering students and budding theologues. The problem is a pervasive issue that includes professor and student alike. This essay suggests a way of understanding and addressing theological illiteracy within the theological enterprise and proposes to theological educators a course of action for engaging theological illiteracy. An important dimension of theological illiteracy is actually imbedded in American culture. We can hear it in our confusions and concerns related to our interpretations of the separation of church and state. This fundamental Americanism supports the dualistic, dichotomous thinking that marks much of the Western world. I consider this one of the primary influences of theological illiteracy. I believe it expresses itself so strongly today because of the culture’s insistence on religion being “the problem” of the day. This disposition has found a home within many seminaries and divinity schools. Professors and ministry mentors who have been wounded and disillusioned by the “faith of the Church” are guiding and misguiding religiously disenfranchised students and mentees who have come to seminary after having sensed a movement of the Spirit. That spiritual experience, often understood in a universalist way by virtue of its separation from a particular religious tradition and theology, is being interpreted as a call of God without a traditional container for discerning a call. Also, we must not overlook those who enter seminary from the multiple paths of many religions that have converged in a syncretistic confession of faith. It is not unusual for students to enter a liberal theological institution with a confession formed by a variety of Eastern religions, Wicca, humanism, Islam, atheism, and other expressions blended into a neo-Christianity. These dynamics are further complicated by a dialectical tension between denominationalism, nondenominationalism, and new forms of religiosity. As we are in the throes of what some are calling another Church Reformation, denominations that are being challenged with the threat of extinction are clashing with non-denominational conservatism over biblical interpretations regarding why people are suffering and dying. And neither of these is addressing the new religiosity whose faith claims are rooted in a social justice deism or social justice humanism. Consequently, launching a campaign to address illiteracy as a unidimensional problem (e.g., as being only about students) might provoke educators to become theological apologists at best and “litmus-testing gatekeepers” of traditions at worst. Whether apologists or gatekeepers matters not. Either way, we will lose sight of the task of education if the burden of knowledge is placed upon the theology student. If this happens, I think we will surrender our calling and dismantle the enterprise of theological education from the inside out. We, theological faculties, must reimagine why we do what we do; and for some of us, this means visioning without the burden of having to develop new programs that are intended to tap new markets for the purpose of attending to our institutions’ fiscal crises. If the redress of theological illiteracy encourages a focus upon Bible “higher theologies,” one might suggest that the theological enterprise should give more attention to church history and, perhaps, earlier attention to denominational history and polity. However, the extent to which the theological enterprise has been constructed by hierarchy and the compartmentalization of disciplines has already placed biblical and systematic/dogmatic theologies in superior positions. A more appropriate redress may be to blow the trumpets that will bring down the compartmentalized walls allowing for a redesign that will be more interdisciplinary and equitable and will actually educate instead of train. This new construction should also make room for theological education to have a closer relationship with contextual education and denominational judicatories. Sometimes this closer relationship is implied through our relationship with field educators, but their influence is rarely felt when it comes to decisions made about core curriculum. Theological illiteracy is made more complex by the fact that many theological educators are also theologically illiterate. Frequently, the only theological position they know is their own. They have limited knowledge and little appreciation for the ins and outs of many ethnic religious traditions and divergent theological positions. This was evidenced in the public arena with the Trinity United Church of Christ–Jeremiah A. Wright Jr. controversy last year. Try to recall the plethora of illiterate opinions that circulated about the work of black theology and the life of the black church. Trinity Church was described as a separatist cult and condemned. Wright was described as a lunatic and metaphorically lynched. The black churches that subscribe to black theology were described as anti-American and irrelevant. Not many theological educators were actually willing to jump publicly into the media fray to bring clarity. Another example of this illiteracy occurred while I was interviewing for a faculty position at a predominantly white theological school. Although I had, at that time, taught at two different predominantly white seminaries for more than ten consecutive years, when it became clear to the interviewers that my passion is in the area of African-American pastoral theology, it was declared by members of that faculty, “We don’t have many African-American students here, and you will not [as an African-American man] be able to teach white women.” The obvious statement is that African-American religious studies is only good for African-Americans while other theological approaches are universally good. The pervasiveness of theological illiteracy means that care must be taken not to define theological literacy too narrowly. Theological educators must become students of theology in order to inspire theology students to become learners and lovers of the theological enterprise. Theological educators must also mentor theology students in such a way that they see ministry as a theological activity. This task and challenge is great because the spiritually minded students who enter the teaching/learning space of the theological classroom enter with training rather than education on their minds. If the educational pedagogy is directed by theological illiteracy, performance expectations and standards are lowered. When theological education institutions are understood as professional training schools by all parties involved, the educational process becomes a miseducation, ultimately promoting theory and practice without praxis and thereby legitimizing theological illiteracy. If learning theology is only training, and if the pedagogy structures questions intended to produce measurable outcomes to say one has been trained, then the theological enterprise is more likely to graduate students who have not synthesized thought or done much to integrate their experience into their being. This approach will perpetuate the theological illiteracy that the person entered with and will encourage the theology student to become a performer of the arts of ministry without having the reflection gifts of spontaneity and improvisation. Whereas theological education should be regarded as the theoretical that gives way to, and is an integral part of praxis, there has been a tendency to reduce praxis to practice and to dualize theory and practice. This results in a tendency to relativize or universalize the human experience by reductionism, meaning the theological enterprise promotes a methodology that reduces everything to simplicity. It is my conviction that if theological educators develop a clarity of the calling to become educators, then theological illiteracy will be seen as the beginning of a process instead of the end product. Seeing the theological enterprise as the generative power to name and rename means honoring the stories people come with as the ground of their theology while inspiring them through an educational process of preparation. My starting point in the classroom is the place of calling. The call is an educational experience where we are awakened to know who we are, whose we are, where we have come from, and where we are going. Theological education should be formational, reformational, and transformational. I do not understand my work as training people to do tricks or to act without thinking. Theological education develops theological literacy because it teaches people to read life while seeking the wisdom to understand. Theological education renews the human spirit to become healers, liberators, justice workers, proclaimers, peacemakers, revolutionaries, and daughters and sons of God committed to the struggle. Whereas the theologically illiterate train learners to hate themselves by encouraging learners to privilege another’s story, theological education encourages the learner to enflesh their story and to love their flesh. Theological education is the work of Spirit who gathers us together and touches our hearts, minds, mouths, and bodies in order that we might do justice, love mercy, and walk humbly with God and others. Theological education is God’s work in and through us.